The proper conduct of the fast is vitally important. There are really very few practitioners of any school who know how to conduct a fast or how to properly break one. A naturopath in New York City broke the fasts of a mother and daughter, who had been fasting sixteen and thirteen days respectively, on chocolate candy. The gastric and intestinal acidity resulting from this caused great distress throughout the body. I was called in on these cases, and it required four to five days of fasting to get them back into a comfortable condition. This method of breaking a fast is nothing short of criminal. A friend of my wife describes to me how she fasted seventeen days under the direction of a chiropractor in California and worked hard during the fast. She worked for the chiropractor and he would not permit her leave from work while fasting. He broke her fast with toast and acid fruit. This woman immediately developed a case of malnutritional edema. This is one of the very few cases of this kind I have ever known to follow a fast, and I know of no other such case recorded in all Nature Cure works on fasting. This case should thoroughly emphasize the necessity of placing one's self under the care of a competent and experienced man, if one is to take a long fast. A chiropractor who knows nothing of either fasting or dietetics, and few of them know anything of either of these, and who experiments with patients in this manner, cannot be too strongly condemned. If chiropractors want to practice natural methods let them qualify themselves for this by proper training. This goes also for osteopaths and medical men. I would not attempt a surgical operation without first qualifying myself for the work, and I am certain that no chiropractor, osteopath or medical man should attempt a long fast, or attempt to employ any other natural method, without first equipping himself for the work. 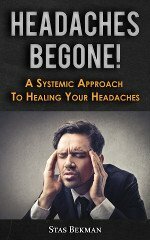 Chiropractors who go to school and learn to punch spines and then, finding spine punching to be inefficacious, attempt to prescribe diet, etc., after reading a book or two on these methods, are in the same position as would be the medical man who attempted to "adjust" spines after reading a book on chiropractic. He is really dishonest and untrustworthy. Dr. Wm. F. Havard records the following cases: "A young man twenty-four years of age who had suffered from chronic constipation and indigestion, fasted twenty-seven days after reading an article in a popular health publication. On the twenty-eighth day he ate a meal of beefsteak, potatoes, bread and butter and coffee. He was seized with violent vomiting spells and could not tolerate even a teaspoonful of water on the stomach. When called on the case I discovered an intense soreness of the entire abdomen and every indication of acute gastritis." "A young man about thirty who had fasted on his own initiative for forty-two days attempted to break the fast on coarse bread with the result that vomiting occurred and the stomach became so irritable that nothing could be retained. There was marked emaciation and extreme weakness and every indication for immediate nourishment." An Associated Press dispatch dated Aug. 28, (1929) recounts the death of Chris. Solberg, 40 years old art model, following a 31 days fast, which he broke by "consuming several sandwiches." The sandwiches, a later report stated, contained beef. Ignorance and lack of self-control killed this man. The dispatch tells us that "his fast (of 31 days) had reduced him from 160 to 85 pounds," or an average loss of more than two pounds a day. This loss I believe to be impossible. The average losses for a fast of such length vary between twenty-five pounds and thirty-six pounds. "Prof." Arnold Ehret tells of seeing two cases killed by injudicious breaking of the fast. He says "A one-sided, meat-eater, suffering from diabetes broke his fast which lasted about a week by eating dates and died from the effects. A man of over sixty years of age fasted twenty-eight days (too long); his first meal of vegetarian foods consisting mainly of boiled potatoes." Ignoring the absurd explanations for these deaths, given by the "professor," we would say that the diabetic patient threw too much sugar (from the dates) into his body and died as a result of hyper-glycemia. He probably passed out in a diabetic coma. He explains that the second patient fasted too long for a man of his age, and that an "operation showed that the potatoes were kept in contracted intestines by thick, sticky mucus so strong that a piece had to be cut off and the patient died shortly after the operation." "Professor" Ehret was so fond of mucus he could never see anything else. This fast was badly broken but the patient, in all likelihood, would have lived had he not been operated on. The fast was not too long for a man of that age. "Prof." Ehret really knew but little of either fasting or dietetics. These cases help to influence many against fasting and yet they are the results of the worst type of ignorance and inexperience. Who but an ignoramus would feed a diabetic case a meal of dates after a week of fasting? Surely fasting cannot be blamed for this result. Before we talk of the evils and dangers of fasting let us be sure that these really belong to fasting and not to something else. Sinclair says: "I know another man who broke his fast on a hamburger steak, and this is also not to be recommended." I had one patient to break a fast of over twenty days by eating a pound and a half of nuts the first day. Although no harm, not even slight discomfort, came from it in this particular case, this method of breaking a fast is certainly not to be recommended generally. In some cases of fasting where efforts are made to feed the patient towards the latter end of a prolonged fast, but before hunger has returned, there has been noted a failure of the stomach to function. Dr. Dewey mentions such cases, who were induced by friends or physicians to eat, and who were absolutely unable to digest food, but vomited everything eaten. Fasting was resumed and continued until the return of natural hunger, with the result that digestion proceeded nicely. Besides the usual signs that it is time to break the fast, Prof. Levanzin lists a feeling of cheer and elation as a manifestation that the time has arrived for the termination of the fast. I cannot do better than quote Carrington's description of the feelings of the patient at this stage. He says, Vitality, Fasting and Nutrition, p. 544: "A sudden and complete rejuvenation; a feeling of lightness, buoyancy, and good health steals over the patient in an irresistable wave; bringing contentment and a general feeling of well-being, and of the possession of a superabundance of animal spirits." Circulation improves, as is seen by the resumption of the normal pinkness under the fingernails. The increased rapidity with which the blood flows back into the skin, when this has been forced out by pressure, is another indication of the rejuvenating effect of the finish fast.